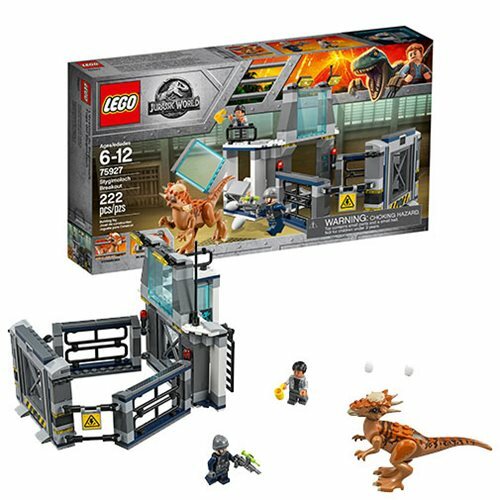 Break out the Stygimoloch dinosaur with this action-packed play set inspired by Jurassic World, featuring a laboratory with observation deck and a tilting workbench with breaking window function, connected to a dinosaur enclosure pen with 2 floodlights and a lifting gate. This fun toy for boys and girls includes 2 mini-figures and a Stygimoloch figure. The LEGO Jurassic World 75927 Stygimoloch Breakout includes 222 pieces. Ages 6 to 12.